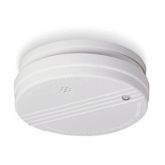 The Charleston Fire Department provides smoke alarms and installation, free of charge, to citizens of our community. If you feel your smoke alarm is not functioning properly and cannot afford an alarm, or do not have an alarm, please submit a request by clicking here: smoke alarm request. Smoke alarms should be tested monthly and the batteries changed annually. If your alarm is sounding continuously, call 911.